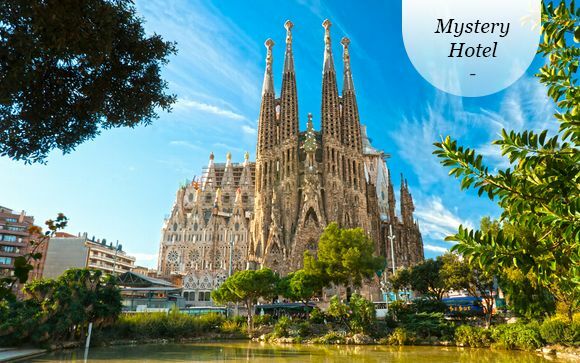 Our Barcelona travel guide for unforgettable holidays up to -70% off To take advantage of these offers, join now for free! As one of the most popular tourist destinations in Europe, Barcelona boasts some of the world's most enchanting architecture, stunning galleries, museums and concert venues as well as a culinary scene that will satisfy any taste or budget. 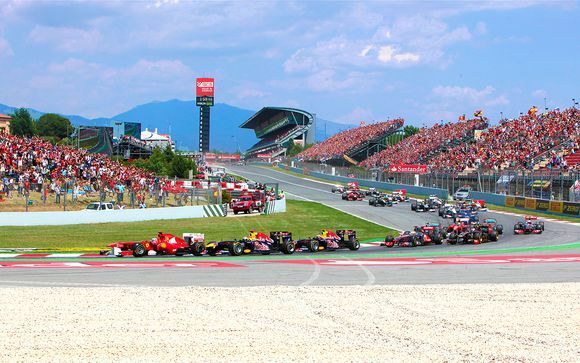 Popular and consequently more expensive in June, July and August, this thriving Spanish city is host to music festivals, art shows, concerts and many other attractions that bring visitors from across the globe all year round. 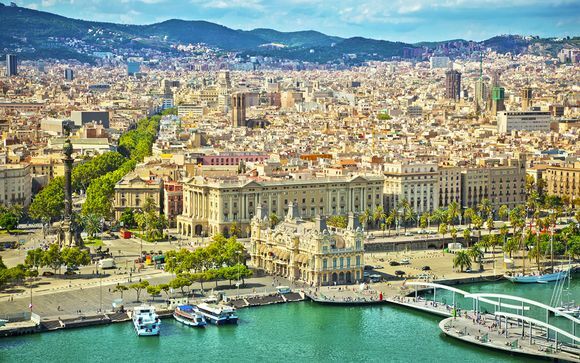 Established in the middle ages by Roman settlers, Barcelona is the largest city in Spain and is currently home to just under 5 million people. Like any city that benefits from tourism, pickpockets can be an issue. However, if you inform yourself of the areas to avoid before you arrive and ensure to always keep your wits about you, this shouldn't be a problem. This basilica, which has been under construction since 1882 until today, is one of the main works of the famous architect Antonio Gaudí, the greatest representative of Catalan modernism. Be sure to admire its three different facades: the Nativity Façade, dedicated to the birth of Christ; the Passion Façade, which pays tribute to the suffering of Jesus during the crucifixion; and the Glory Façade, the main façade and also the most impressive you will ever see. And dedicate part of your stay to make a visit to its spectacular interior. We are sure you will be impressed. 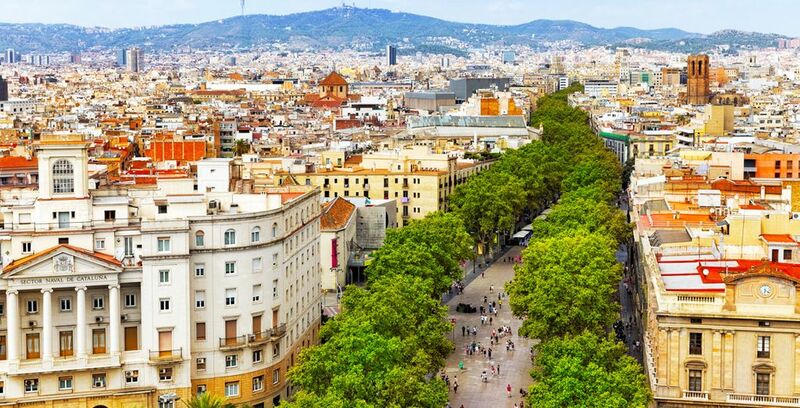 Known as one of the main streets of Barcelona and one of the most important nerve centers of the city. Las Ramblas is a walk of more than 1 kilometer in which you can find shops, terraces, restaurants, bars, theaters and many more attractions. Both tourists and locals come to this area for being one of the most lively. Always full of life and full of people strolling and browsing the different shops that are there. In your tour of Las Ramblas, you can also find edges doing shows on the sidewalks or street musicians cheering up passers-by. Don't go without visiting the Rambla de las Flores. One of the most colorful spaces of Las Ramblas that, honoring its name, is full of flower stalls. Here you can also pause on your way to visit the mythical Boquería Market. Another interesting point is the Rambla de Santa Monica, a little piece of Las Ramblas full of bars and restaurants where you can enjoy good spaces for leisure. In the heart of the city. 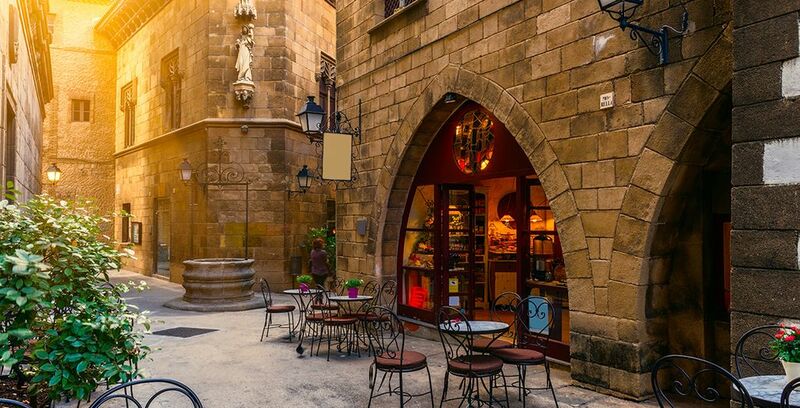 Located in the Ciutat Vella district is Barcelona's Gothic Quarter. The oldest nucleus of the city and one of the most beautiful areas that you will find on your way. 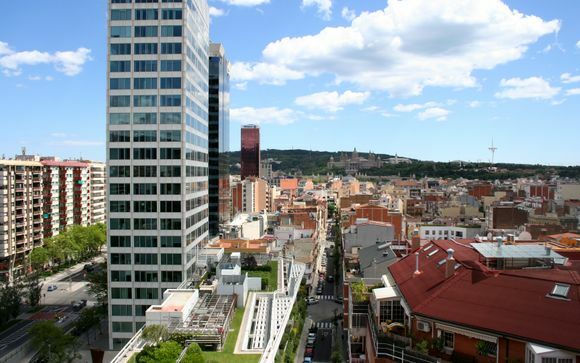 This pleasant neighbourhood is delimited by the Ramblas, Via Laietana, Paseo de Colón and Plaza de Cataluña. Walking through its narrow streets full of history, you will be able to make a trip in time to experience in every corner the medieval past of the city. During your visit, you will notice that it is an area with a very special atmosphere and an atmosphere as rich in anecdotes as it is unique and full of life. In addition to being one of the city's main shopping streets and one of the most luxurious, the Paseo de Gracia is also an impressive tour of Gaudí's architectural work. In this wonderful avenue, you will find Casa Batlló and La Pedrera or Casa Milá. Two of the masterpieces of the Catalan architect. Casa Batlló, built between 1904 and 1906 and proclaimed a Unesco World Heritage Site. Is considered a jewel of modernist architecture. It has become one of the most iconic buildings in Barcelona due to its impressive façade and also because you will be able to get to know its fascinating interior. 5. Walk through the Parq Güell to admire the unique garden created by Gaudí. 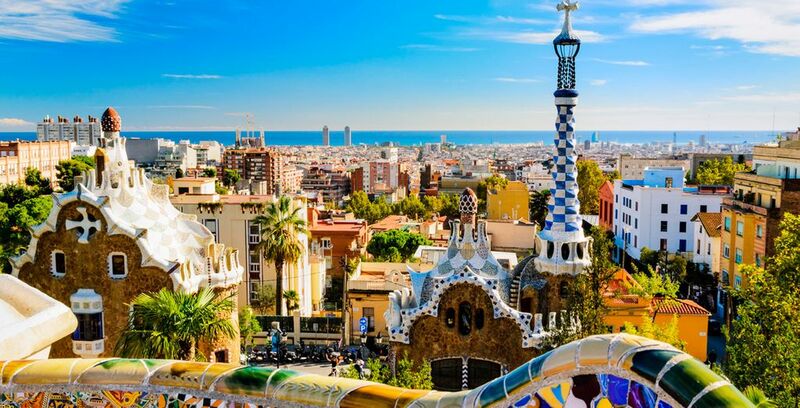 One of the places worth visiting when travelling to Barcelona is the Parq Güell. This huge garden, designed by the architect Gaudí, is full of unique elements that make it a stage as taken from a story and one of the most visited tourist spots in the city. Figures of animals, benches, columns that look like trees and a lot of geometric shapes, all covered with pieces of colored ceramic as a mosaic is what you will find in this wonderful place. In addition, you can enjoy many works of the Catalan architect entering the Gaudí House Museum. 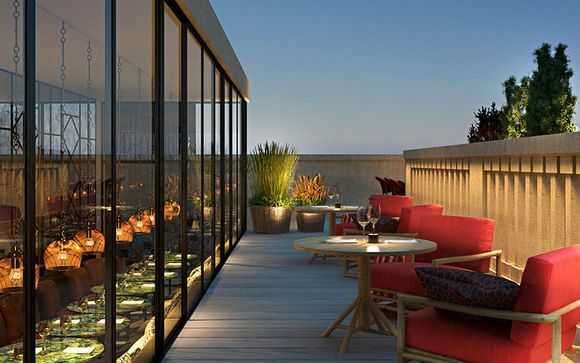 You will also have the opportunity to enjoy impressive views of the city. Monjuic is located at the top of the city. In the area you can visit the National Palace, the Castle of Montjuic, the Joan Miró Foundation, the Botanical Garden, the famous "magic" fountain, the Olympic stadium and the "poble espanyol". To get there you can take a cable car or funicular and enjoy a ride with an incredible view of Barcelona. You can spend half a day or a full day in the neighbourhood. Once you reach the top of the mountain, you can enjoy one of the most beautiful panoramic views of Barcelona and its monuments, but also of the Mediterranean Sea and the port. Another of the best known areas of Barcelona, is . The charm of the place will not leave you indifferent. It is the typical neighbourhood that some time ago was considered dangerous. However the investment of the neighbours and businessmen of the area have made it a fashionable area, converted into a centre of vanguard in the culinary field and in art. The presence in the area of the Museum of Contemporary Art of Barcelona, MACBA, shows the renewal of the place. In fact, you will find some of the most luxurious hotels in the surrounding area. The Aquarium of Barcelona is one of the most important in Europe. It will entertain your children for hours. Located in Port Vell, a very beautiful place, the Mediterranean reigns in all its splendour. Its diversity is amazing, with all these small fish, octopus and hunting eels. Other aquariums are inhabited by bright and multicoloured fish from the Red Sea, Australia and the Caribbean. The main attraction is undoubtedly the shark basin, ingeniously constructed with a transparent underwater tunnel that runs through its centre. So that one has the impression of evolving between them. Above is a variety of interactive exhibits on local marine life. If you can, buy their tickets online at the official website, you'll pay less. Gaining popularity since its opening in 2010, the Museum of Modernism is one of Barcelona's newer attractions but continues to enchant its guests with the array of groundbreaking modernist artworks on show. Barcelona is also its football team. The stadium of the FC Barcelona can be visited during a tour. Enter in the backstage of the world-famous stadium. Enjoy a unique experience near the field of of Messi and his teammates. By booking a tour at Camp Nou, you can enter in the visitor changing rooms, the tunnel that players take before entering the field, visit the club museum or even pass through the press room. Visit our travel guides to discover more Top 10. Depending on your budget and the experience you want, the best time to visit Barcelona can vary. If you want to avoid crowds and save some money, November can be a good time, but you will need to adjust your expectations of the weather accordingly. If you don't mind crowds and even crave the hustle and bustle of a busy European city, April, May and September can still enjoy great weather and it generally costs a little less to travel during these months. June, July and August are generally the most expensive and you will also notice the city is very busy with tourists during this time. How to get to Barcelona? The cheapest and easiest method of getting to Barcelona is by air. Many airlines now offer budget tickets if you book in advance. You can also travel by ferry or by train from certain European cities. For a real taste of opulence and luxury, the H10 metropolitain is not the cheapest, but it does provide exceptional service to its guests. The onsite restaurant is also well known for its quality. 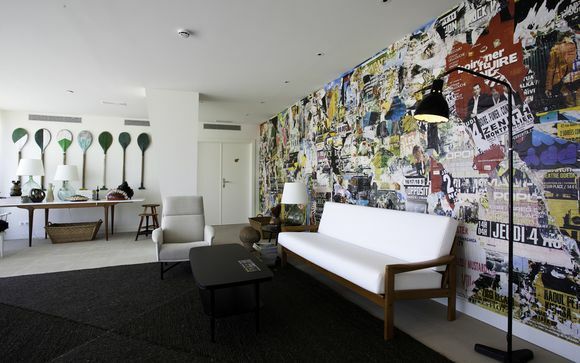 A contemporary design hotel with an elegant restaurant and modern guest rooms. The hotel is located within a 15-minute walk to Bogatell Beach. The hotel is located in the trendy area of Poblenou with many startup companies. 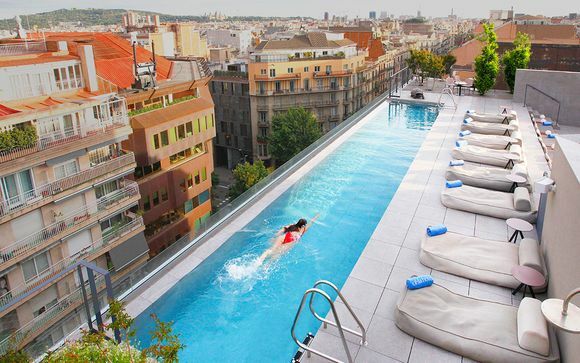 An exciting modern hotel is waiting you with a rooftop swimming pool. Discover our offers in Barcelona: holidays to Barcelona, city breaks to Barcelona, stays in Barcelona, weekends in Barcelona, last minute holiday deals to Barcelona. The dress code for tourists in Barcelona is famously relaxed and the main thing to remember, especially in the warmer months, is to make sure your clothes are appropriate for the weather. If you are visiting on business, you can expect to wear standard business dress or at the very least, smart casual. Ensure you book any tickets for attractions well ahead of time as the most popular ones can sell out very quickly. Buy a metro pass instead of taking single journeys. A full day's travel costs around 10 Euros and this will definitely save you money if you plan to visit several parts of the city in one day. Look out for your belongings and keep your wits about you. Pick-pocketing is rife in certain areas, especially where there are large numbers of tourists, so makes sure you are careful about who you speak to and never keep your cash, your phone or any other valuables on show. The classic FC Barcelona shirt for the football fan in your life or perhaps a good quality bottle of local Cava. You could also bring back some turon, a deliciously sweet, nougat based treat that will delight anybody who enjoys unusual confectionery. What currency to use in Barcelona? Visa, Mastercard and Apple Pay is generally accepted in most chain restaurants or bars, however, smaller, independent shops and businesses may prefer cash. As Barcelona is still part of Europe, it makes sense to change to ensure you have plenty of Euros changed before you arrive. Barcelona is one hour ahead of standard GMT, which is one hour ahead of London time. Primarily English, Spanish and Catalan, however other languages are spoken in certain areas. Many locals speak English but it can be helpful to try and learn one or two key Spanish and Catalan phrases before you go if you can. Though many people enjoy a short 3 to 4 night city break in Barcelona, there is enough going on here to keep you entertained for a week or more. There are hundreds of restaurants to choose from and whether you are looking for traditional tapas, a simple burger or perhaps a touch of fine dining, Barcelona has it all. Park Guell offers a fairytale kingdom to explore and is totally free. A great choice for families on a budget. Tibidabo Amusement Park is better teenagers and older kids but provides a full day of high octane fun with some of the most outrageous rollercoasters and rides in Barcelona. Barcelona: what budget to plan? If you are staying in a hostel, you can survive on around £55 per day in Barcelona and this includes transport, one attraction, lunch, dinner and perhaps a treat. If you are staying in a hotel, your daily costs will be a little higher than this. Around £100 per day will allow you to live comfortably and enjoy plenty of local food and drink. Barcelona is a famously hot city, so if you are sensitive to warm temperatures, consider visiting outside of the most popular summer months. 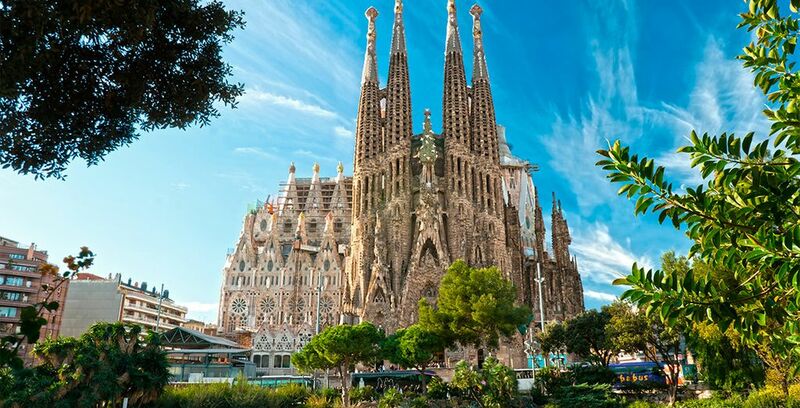 From the Basillica Santa Maria Del Mar to the breathtaking Cathedral, the city is full of iconic landmarks, many of which you will have seen in film and TV productions over the years. The architecture in Barcelona is magnificent and a visit to the magic fountains or Jardins del Mirador del Alcalde is a must for anybody who appreciate the majesty of old monuments and buildings. Discover our holiday deals in Spain: all inclusive holidays to Spain, great deals to Spain, holidays to Spain, last minute holiday deals to Spain, weekend breaks in Spain, stays in Spain.